When Anne Brontë was writing her brace of great novels in the 1840s, she surely never imagined how many lives she would touch nearly two centuries later, how the power of her mind, the words she put onto a page, would bring pleasure to so many and make their days that much better. Anne was acutely aware, however, of the opportunity to touch the lives of those she had close contact with – especially the charges that she was governess over. The children of the first family she served, the Inghams of Mirfield, were a lost cause. Barely educated and full of self-importance, they were, as Charlotte Brontë called them, ‘desperate little dunces.’The children of the second family Anne served were much more promising. The Robinsons of Thorp Green Hall near York are depicted, with a little artistic license, as the Murrays of Agnes Grey, and while Anne finds fault with some of their behaviour she gives them a much more sympathetic portrayal than the Bloomfields who were based on the Inghams. 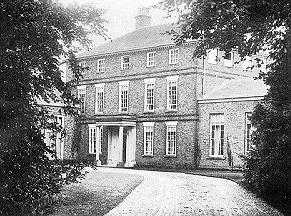 They are most famous today because of Mrs Robinson, and the impact that she had upon Branwell after Anne obtained him a job at Thorp Green Hall. It was a disastrous move, but then when a young man falls for a middle aged woman named Mrs Robinson things are surely going to graduate! We know, then, the impact the Robinsons had on the Brontës, but what impact did Anne Brontë have on the Robinsons? We can judge this both through clues within Agnes Grey, and by looking at what happened to the Robinsons after Anne Brontë left her post with them. Anne was the first person to instil discipline into the girls lives, and they grew to appreciate this as a great treasure. It was this respect that led the girls to buy Anne a very special gift – the cavalier spaniel puppy that she named Flossy. 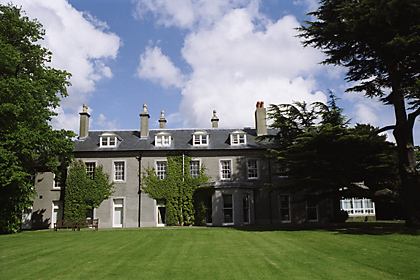 The girls must have been distraught when Anne left suddenly in the summer of 1845, but this was far from the end of her involvement in their lives. It should be noted that the oldest child, Lydia, did not make the journey, but by this time she had broken off contact with her mother of the same name, and perhaps we can see Anne’s hand in this event too. The young Lydia travelled to the fashionable resort of Scarborough every year, and Anne went along with them. It was a place to see and be seen for Lydia, and it was hoped and expected that she would pick up a suitably wealthy husband. Lydia had other plans. She fell in love with Henry Roxby, a circus and stage performer whose father Robert, a comedian and performer himself, owned Scarborough’s Theatre Royal. It seems reasonable, in light of the letters her sisters sent, to presume that Lydia opened up to Anne about her feelings. There is no doubt that Anne would have impressed upon her the importance of following her heart and marrying for love, just as Agnes Grey does to the oldest Bloomfield girl in Anne’s first novel. One night, Lydia Robinson and Henry Roxby eloped and married. Mrs Robinson was outraged, and her eldest daughter became a persona non grata. She now turned her eyes onto her next child Bessie Robinson, and arranged a marriage to a rich mill owner named Milner. Bessie wrote despairingly to Anne, and we can be certain that Anne implored her to be firm with her mother, to follow her heart just as her eldest sister had. An emboldened Bessie protested fiercely to her mother, and the engagement was broken off. It was a scandal that went to court, and Lydia Robinson had to pay substantial compensation of £90 (around ten thousand pounds today) to the Milners. When Bessie did marry it was to the factory owner William Jessop of Butterley Hall in Ripley, Derbyshire (that’s it at the top of this post). Anne’s influence could be seen here as well, as Bessie Jessop became known for her compassion and kindness to the poor. Every year she invited 200 local people to tea at Christmas, and gave them a shilling each. When she died in 1882 she left the equivalent of over two million pounds to her own daughters, and the local paper reported that ‘the poor people of Ripley had lost a true friend’. Factories closed for the day, and flags flew at half mast. This was the true measure of Anne Brontë as a person. She is loved by us today from a distance, we see her through a glass darkly and still we are impressed, but to those who knew her closely she was adored. 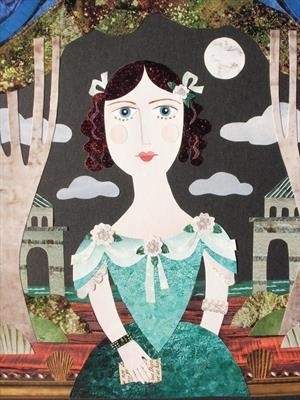 Anne Brontë gave Lydia and Bessie Robinson the courage to be true to themselves, to do what they knew was right rather than what was expected of them. It is a lesson we can all learn from today. This was such a nice story about a good person to read. Nice piece on Anne Bronte’s influence on her charges. Anne was a much more powerful character than her biographers (Charlotte and Mrs Gaskell) ever gave her credit for and you have reminded us of that. I note no mention is made of Mary Robinson’s marriage to a cousin of mine, Henry Clapham, of Keighley. Henry was an only child of Samuel Blakey Clapham, a wealthy mill owner. 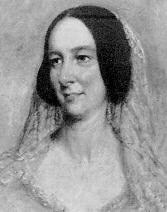 I understand Charlotte Bronte, in a letter to her friend Ellen Nussey, described the marriage as ‘a low match’. Sadly Henry did not survive the match for very long and died in 1855, but the marriage did produce a daughter, Judith Elizabeth. Mary left Keighley and remarried. I have often wondered how Mary and Henry met. Henry’s mother was a Greenwood from Haworth and the Greenwood and the Bronte families were quite close. This was a wonderful account of Anne Bronte. I have a postcard I picked up in Haworth that showed her beloved dog Flossy and never knew it was a gift from the Robinsons. I love reading the human side of historical figures and am so thankful we have historians & people who find such value in keeping these memories alive by sharing them–they truly are remarkable and treasured. Thank you.